In my first novel, All Things Rise, a good portion of the story unfolds in a place called Easton City. I wanted to create a city that did not exist so that readers would have no preconceived notions about “place” when the characters interact in that context. 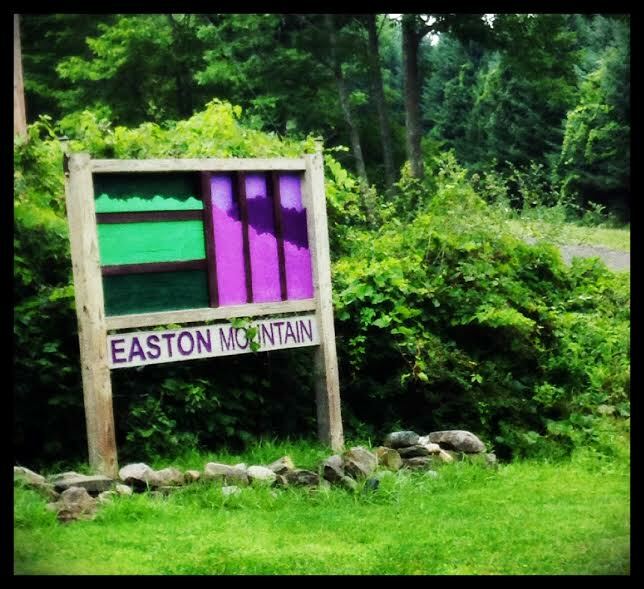 Fast forward roughly six to eight months later and I find myself attending a writer’s retreat on Easton Mountain! Not only that… the small community of Easton, established in the 1800s in upstate New York, is located only about three miles away! When I drove through and saw the sign for the Easton Public Library I almost slammed on the brakes. What are the odds of attending a retreat in a place named after a fictional locale in my first book when I didn’t even know such a place existed? Weird. Strange, even. I interpret all of this as a sign that I’m on the path. Meaning, I think the universe is endorsing my current direction! The Easton Mountain writer’s retreat, hosted by Bold Strokes Books, was terrific. I met lots of writers, talked about story and conflict, met my editor and even had downtime to think and relax. I found the sessions that were presented to be informative and inspiring. I came home with lots to think about in terms of ways to improve my writing. One of the writers I met at the retreat was Carsen Taite. I’ve been a big fan of her books for some time now and it was fun to finally get to meet her in person and discover that she’s just as charming and quick witted as the characters in her books. She did a video interview with me at Bold Strokes Books headquarters, with the help of author VK Powell behind the camera. Here’s more about me… My secret identity is revealed!